The new logo for the Scout section. 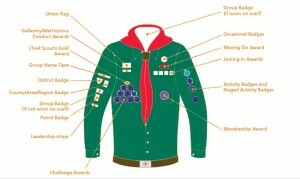 Scouts have the largest number of activity badges from different activities. On regular Scout evenings these skills are learnt and the badges are earned with pride. 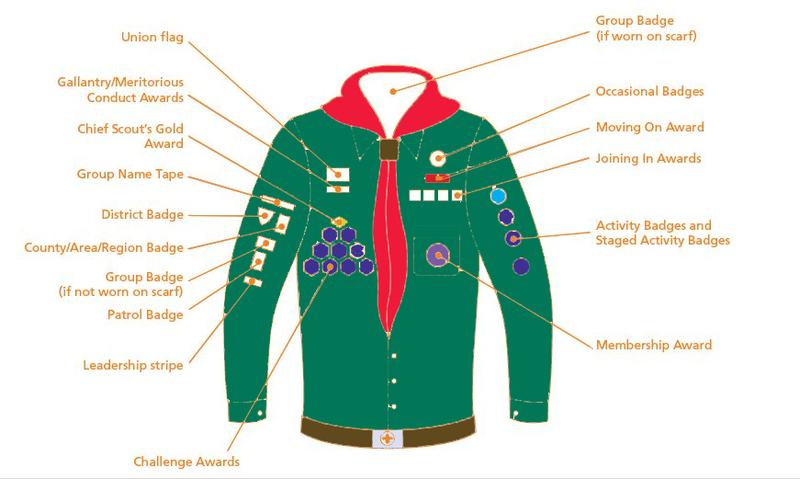 Also, like with Cubs, staged badges cross over along with camping expeditions relate to certain badges also. The Scout Section is for young people, usually aged between 10½ and 14 years. A young person can come in to the Troop at 10 and may stay until they are 15 years old. The Scout Troop is the third and final Section within the Scout Group. Scouts are encouraged to take part in a wide range of activities as part of their programme. Participation in activities rather than meeting set standards is the key approach. For the Scout who wants to be recognised for his or her achievements, there are a number of Challenge Awards and Activity Badges. Scouts take part in a balanced programme which helps them to find out about the world in which they live, encourages them to understand, and stretch. their own abilities and the importance of keeping fit and helps develop their creative talents. It also provides opportunities to explore their own values and personal attitudes. The Scout troop takes part in many different activities throughout the year.